When Jason McIntire emailed me and said he’d written a new book and asked it I’d be interested in reviewing it, having reviewed several before for him and for Elisha Press, I jumped at it. My girls have fallen in love with the characters in The Sparrow Found A House and this is a sequel titled Flight School. Eden’s words today, when I said I needed her thoughts for this review, were, “Oh, I loved that book! It was so good!” Mmm hmm. Told you. Flight School is written for ages twelve and up, but with nothing I found objectionable in any way, shape, or form, I gave it to my ten year old to read too. I gave Sterling, age 8, the option, but he didn’t get it finished before I wrote my review. He reads anything and everything so it was at his reading level well enough, but a bit above his head in what he wants to read. On the verge of adult life, Chris Rivera is eager to get started on his career as a director of Christian movies. But he’ll have to do it without his best friend Ben, who has traded childhood toys for law books… and a very pretty study partner. 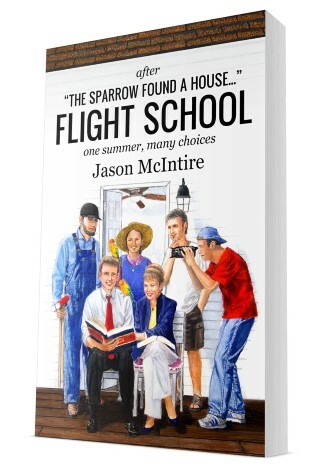 If you’ve read The Sparrow Found A House by Jason McIntire (Elisha Press, 2013), you’ll already know his style: Real-life situations addressed with equal parts humor and biblical wisdom. It’s a combination reviewers find powerful. They’ve used the words intriguing, believable, captivating, and unique – among many others – to describe his writing. The Sparrow Found A House (which is available as a free Kindle download from Elisha Press) was also endorsed by Exodus Mandate, the prominent homeschooling action group. It tells the story of the Rivera-Sparrows, a newly-blended and newly-homeschooling family facing opposition from without and within. Today Elisha Press is announcing the release of a sequel to The Sparrow Found A House – and to celebrate, they’re giving away signed copies to four randomly-selected winners. You can enter the giveaway here, or go ahead and order the book on Amazon. It’s $2.99 for the Kindle version, or $9.99 for the 256-page print edition. Flight School follows the Rivera kids as they meet new friends, explore careers, and encounter the challenges and choices that come with adult life. As a homeschool graduate himself, Jason knows the things that matter most to homeschoolers, and how to write about those things in a way that will edify, resonate, and entertain. Flight School has become one of Eden’s favorite books, hands down. If you wish to read it’s prequel, it’s available for free download at Elisha Press. Liberty, age 12, also read it and loved it… high praise from one who rarely varies from books about horses these days. I heard from her about a bird funeral, how awesome the nickname “Peanut” is for an unborn baby is, the little jokes made, and about the birth of the baby. Liberty’s a twelve year old girl – she finds entertainment in a different realm right now, shall we say. The birth scene contained nothing objectionable, and for Liberty, who was there at the birth of her baby sister and she’s now begging to be there when the baby I currently carry is born, it was by far the most fun part of the book. Oh boy. Flight School wins high praise all around this house. We’re all hoping for a third book, but that’s not yet decided or announced. You can sign up for updates on the Elisha Press website so you’ll hear about it first should Mr. McIntire make such an announcement. 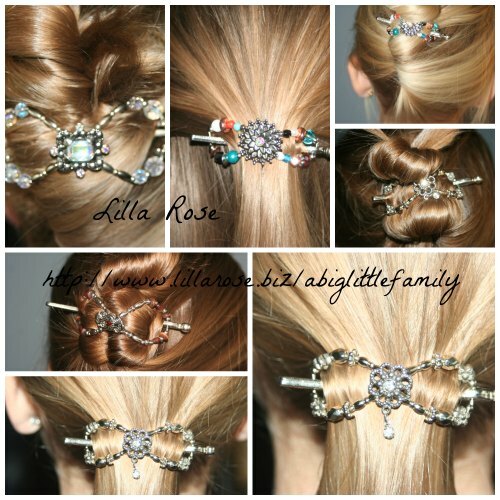 For now, though, head over to enter the giveaway! Disclaimer: I received a free digital copy of Flight School in exchange for an honest review. All opinions are mine and my family’s. I was not compensated in any way. Adrienne, thanks for your very kind review – and also for sharing thoughts from Eden and Liberty. It blesses me to know how much they “got into” the book. I’m subscribed to this comment section, so if any reader has questions or comments, they can post here and I’ll respond.